Steven Spielberg’s ‘Extra Terrestrial’ was a run-away hit millions watched the strange look and expressions of the ‘Extra Terrestrial’ with awe and they loved the little boy as well as the dog which followed the boy as a shadow, perhaps most of the readers would not be aware that this dog was a Labrador. Former US President Mr. Bill Clinton had two pets the ‘Buddy’ and ‘Seamus’ both Labrador Retrievers! This article is about one of the most fascinating dog breeds in the world; in intelligence, tolerance and adaptability Labrador retriever is numero uno; it is no wonder that they constitute 70% percent of guide-dogs in America. Labrador retrievers (called ‘Labs’ as a mark of endearment) are relatively large breeds of dogs which are classified under ‘working classes’. Their origin has been traced to the Islands of New Found land in Canada. It is believed that the Labs are a cross breed between the St. John’s Dog and the local ‘water dogs’ (water dogs are so called as they help fishermen in retrieving their nets from water) This breed was earlier known in the common name St. John’s Dog (St. John’s Dog is actually extinct at present)and it was the Earl of Malbesbery who christened them as Labrador. The American Kennel Club began to register the Labs from 1917 onwards. Labradors are relatively large dogs. The male dogs weigh about 25 to 35 kgs and females weighing about 20 to 30 kgs. It has short and smooth coat and straight powerful tail like that of an Otter. The otter like tail and webbed toes make them excellent swimmers. Usual colors are chocolate, black, or yellow. Head is broad with distinct stop and slightly pronounced brow. Eyes are usually brown in color exudes a sympathetic look. The lining around the eyes should be black as per breed specifications. The ears hang close to the head and are set slightly above the eyes. Jaws are strong and powerful. Except in black Labs the nose is yellowish. Body should be strong and muscular with a level top line. Labrador is a ‘gentleman’ among dogs and it has almost all good manners like Good temperament, agility, a sharp nose, soft mouth, and above all a love of water which makes it a friend of fishermen. It is a devoted companion and very intelligent. They are not excessively prone territorialism, pining, insecurity, aggression, destructiveness or hyper sensitivity. The Labs are excellent retrievers and like to play with children. Labradors are adaptable to a wide range of functions. 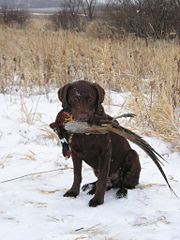 It is an excellent working dog and can be used for hunting, tracking and as assistants to disabled. They are good cart-pullers and guide dogs. Their extraordinary power for smell make them fit to be ‘police dogs’. It is a pride to be a ‘Labrador owner’, but this status carries a lot of tasks that cannot be ignored. The main responsibilities are giving food at regular intervals, allowing it regular exercise, frequent brushing and grooming, and even teaching them how to behave to the visitors. For those who love pets these are not tasks but pleasures, as dogs are innocent and playful like children spending time with them is refreshing. Puppies are very delicate beings and special care may be given to them by feeding with apt food in regular intervals. Enquire to the breeder about the type of food he is giving to the puppy and always give the same food after it is taken home. It is probable that the pup will be somewhere around ten to twelve weeks old and already weaned from its mother’s milk on to solid and semi solid foods. Care should be taken since at this stage its stomach is very delicate and never overfeed it. As it is in the case of human beings overfeeding can cause excess fat which will be ugly and unglamorous! Foods based on grains and fatty ones should be restricted. Feed the puppies at about four-hour intervals. Breakfasts can of cereal based foods, biscuits, warm milk, or beaten egg. At lunchtime you can give lightly cooked minced liver, fish or tripe, moistened with gravy. In the afternoon a drink of warm milk with some biscuits or bread would be enough. In the early evening you can repeat the lunch and at the bed time you can repeat the break fast. At about fifteen weeks of age milk can be withdrawn and after six months of age changeover to adult diet can be effected. Adult dogs require only one good meal a day, plus a bed time snack. Usually Labradors are ferocious eaters and they eat whatever given to them. Hence a regular quantity of food at regular intervals alone is given. For the breakfast you can include milk, biscuits, bread and eggs etc. At lunch you can give carbohydrate rich diet such as rice, wheat, or potatoes. Along with the above; meat, fish, curd, also may be added. Always avoid feeding your adult dog at late evenings or at bed time, because dogs are having a tendency to sleep after eating a heavy meal (this is same for human beings also!). Few things are worse in the home than the presence of a bad smelling dog in your home. The good news about a foul smelling dog is that by regular brushings and grooming can turn him in to an eye-candy for which onlookers may flock with a ‘wow’! At younger stage itself; let the puppy get used to the daily inspection and grooming. Let him think ‘it is also part of the play’ at first so that he takes an interest in it. Gradually train him to stand still while grooming. Labradors are shorthaired dogs even then regular grooming is advisable to avoid pests. Brushing not only makes the dog look pleasant but removes dust dirt and scurf from the coat and stimulates the skin and muscles. Regular brushing keep the skin supple and encourage healthy hair-growth. A short bristled brush, a hound-glove and a soft cloth are enough for grooming Labradors. Move the brush briskly to free the coat from dandruff and dust. Well groomed dogs seldom needs bathing. Labradors are water-loving dogs and don’t resent to bathing. Don’t use any detergents or household soaps for bathing the dogs which may cause skin disorders. Always take care to see water entering in to the ear. Wipe out all the moisture or keep the dog in the direct sunlight for a while after bath. One bath is enough for a week. A normal dog’s inclination after being bathed is directly to roll in some more dirt, never let him do that! 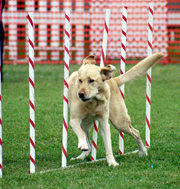 Regular exercise is required to keep your dog healthy and this should be started at the younger stage itself. You can be a proud and contended dog-owner if your pet is a Labrador because it seldom bites or barks. But never think that it is unable to protect your belongings because he is also a good watch dog. 1. 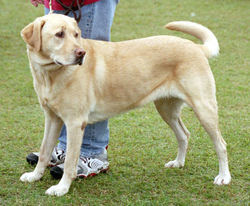 Elbow dysplasia is a common disorder in Labrador. 2. Knee problems are common in some dogs. 3. Eye problems such as progressive retinal atrophy, cataract, retinal dysplasia are rarely seen. 4. Since Labs have drooping ears ear problems such as otitis (inflammation of the ear) is not uncommon. Labradors are beautiful dogs that any dog lover would like to rear, but keep him clean and teach him to behave from early stage. Golden retrievers are also belong to the category of Labradors and are most amiable dogs and good family pets. Let children play with them without any hindrance, as a joint game will be helpful to children also. Dogs are very sociable animals and always care them; a dog un-attended by the owners will be subjected to stress and are liable to behave abnormally. i am following up your tip to read your labrador retriever post. your blog is well done and very interesting and i have booked you in my aggregator. you found a story on my blog about the 911 rescue dog that recently died. hi there! thanks for dropping by!... anyways you have a nice blog... have a good weekend! Hi! Thanks for visiting my blog - and I like yours greatly, as well. 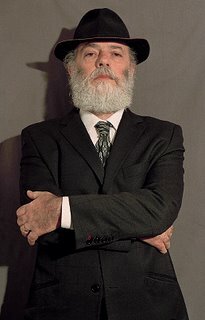 You clearly have the greatest compassion for this "gentleman among dogs," and reading your post here makes me want to go and befriend one at once. My family raised Great Pyrenees as livestock guardian dogs when I was young, to protect our herd of goats from the coyotes. Thanks for visiting my blog.. Great dog you have. could you please tell me where can I get labrador puppies in Cochin?